I am using OS X El Capitan 10.11.6 (15G1217) on a MacBook Pro (Retina, 13-inch, Early 2015). 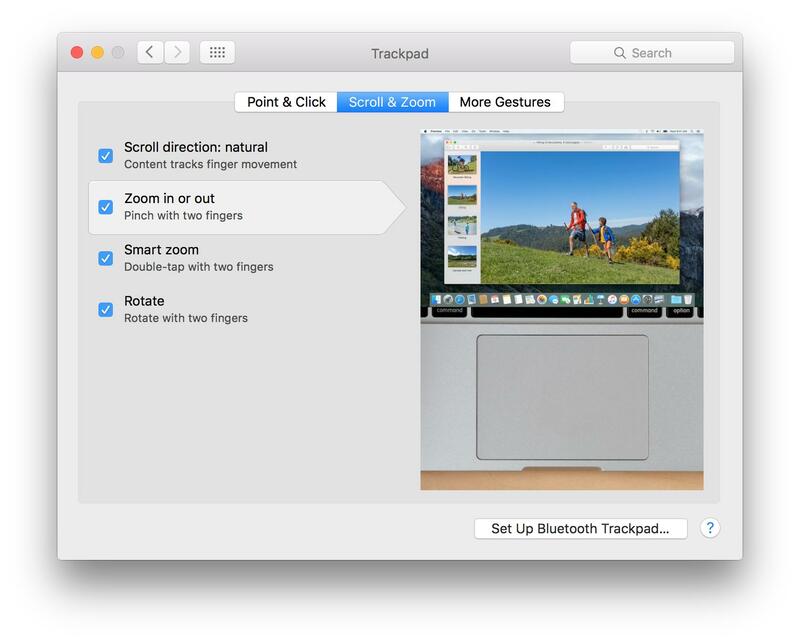 Sometimes when reading PDF's I notice I suddenly can not use the trackpad zoom feature anymore. It is not related to PDF's in general, as both in the apps Skim, Preview and Scapple it has stopped working. If it had stopped working, multi-touch features such as Mission Control still work, suggesting the problem is not hardware. When I disable and then re-enable the 'Zoom in or out' feature (cf. figure), it suddenly works again. How can I troubleshoot this problem? Browse other questions tagged trackpad multi-touch . Can trackpad emitting artifacts be fixed?